Insulator tensile testing machine is designed to perform mechanical property tests (tensile tests) of various types of steel wires, cables, chains, electrical devices, insulators and insulating materials. It’s also available for mechanical property tests on other specimen with long shape. Design and production comply with standard GB/T1001.1—2003 “OH line insulator with nominal voltage over 1000V”. We currently have 5 standard models with max load of 300kN, 500kN, 1000kN, 2000kN and 3000kN. This testing machine has a valid measuring load range from 5% to 100% FS,covering almost all types of commen insulators of IEC and ANSI standard. From composite insulator and disc insulator with mechanical load of 70kN (known as U70B in IEC and 52 series in ANSI) , to 120kN long rod polymeric insulator, or even up to 160kN and 400kN (often required in high voltage transmission line up to 330kV), all these insulators can be tested with this machine in a very high accuracy of ±1%. 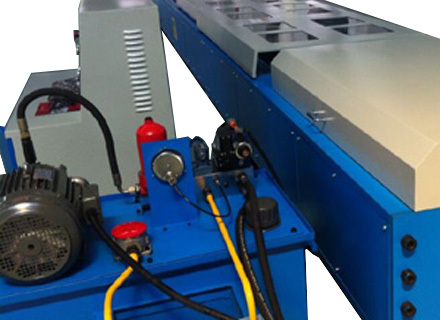 The insulator tensile testing machine has 2 means of control,automatic control and manual control. In automatic control mode, the machine is controlled by computer. All commands and values are preset in the program and it runs automatically. Manual control mode is also available. Testers can control the procedure with oil valve manually. These 2 means has made this testing machine quite flexible in performing tensile tests on specific demand. As it is designed specifically for electrical products, the function is also optimized for tests in international standard of IEC,ANSI,DIN and etc. For example,the force can be increased to a certain level within a certain time as preset, withstand for a period of time and then go on to increase the force till the specimen breaks. This is a common test to check mechanical load of electrical products like insulators, conductors and cables. Curve and value in number will be displayed on screen during the entire procedure. Results can be restored, printed, recalled and compared,which makes tests very convenient to perform. We have been improving our testing equipments in the past year to make them even more practical, stable and convenient, not only in mechanical structure, but also the controlling software. Free software update is provided if new version is available.